Pagosa Springs is a small mountain community, home to the world’s deepest geothermal hot spring aquifer. 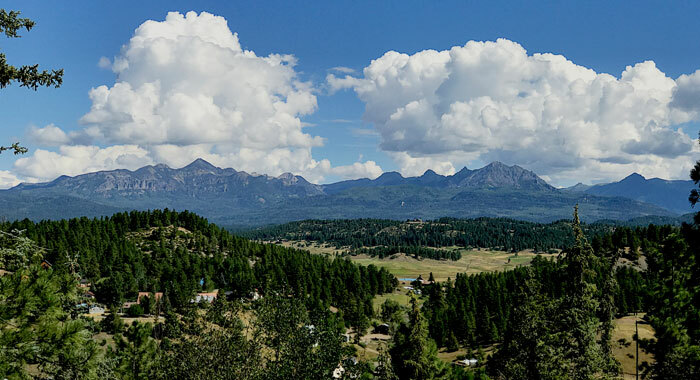 Pagosa Springs, nestled in the heart of the San Juan Mountains, is surrounded by 2.5 million acres of the San Juan and Rio Grande National Forests as well as the Weminuche and South San Juan Wildernesses. A visit to Pagosa Springs puts you on the doorstep of outdoor adventure no matter the season. You'll find the most snow in Colorado and world-class powder at Wolf Creek Ski Area in the winter, as high as class III rapids in the San Juan River flowing through the heart of downtown during spring runoff, a summer full of festivals and family-friendly events, gorgeous, color-filled scenic drives in the fall, and so much more! 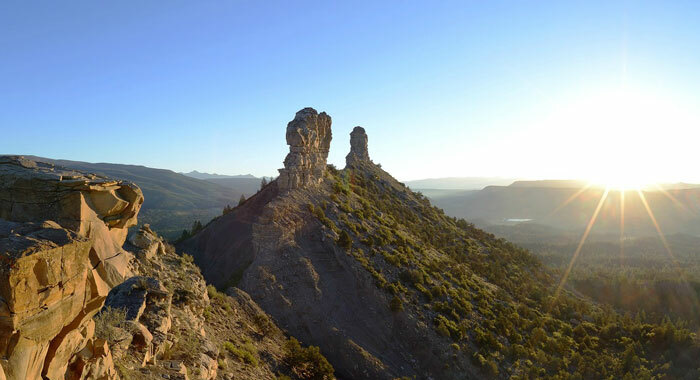 Pagosa Springs is more than an outdoor lovers paradise. We are big on arts and culture for being a small mountain town. Spend some time downtown, and you're likely to find yourself wandering into a wide variety of retail shops as well a numerous art galleries of all tastes. In addition to our many galleries, Pagosa Springs is home to the Pagosa Center for the Arts and Thingamajig Theatre Company, a professional, award-winning, production company that provides year-round entertainment. Curtains-Up Pagosa, the local community theatre also offers an array of shows year-round. The healing waters of the natural hot springs, beautiful, mountainous terrain, lush valleys, and abundant water made the Pagosa Springs area attractive to Native American Tribes, Spanish and French Explorers, and later American Mountain Men, Prospectors, and Fur Trappers, all of whom left their mark on Pagosa history. Just 30 minutes west of downtown lies Chimney Rock National Monument, a once sacred site to the Ancestral Puebloans of the Chaco Canyon. A short drive and a brief hike will reward visitors with ancient ruins and a world of history that you can touch. Downtown Pagosa Springs is home to the Pagosa Springs History Museum that houses a wide variety of local historical items, many of which were donated by pioneer families who have been in the area for generations. Take a free tour and glimpse into how life "used to be" in Pagosa Country. Pagosa Springs is a vibrant community and offers a full event-schedule, no matter the season. From Colorfest in the fall which features a mass hot air balloon ascension, craft beer festival, and live music, to a variety of other family-friendly events throughout the year, you're sure to find something fun to do in town. Be sure to check our events-schedule regularly for the latest on all the upcoming Pagosa Springs area happenings.